I’m back in rehearsals again after auditioning and being cast in the ensemble of The Hunchback of Notre Dame. As a friend recently said, “I’m a glutton for punishment,” I suppose. This production is a slightly shorter commitment than ‘Joseph’ was this summer. We started rehearsals last week and the show runs through February and March. 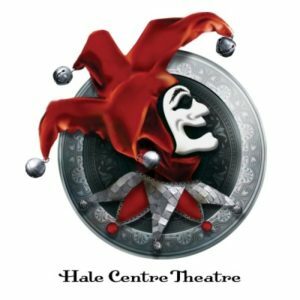 You may have heard about Hale Centre Theatre’s new $80 million facility in Sandy, Utah, which happens to be just less than two miles from our home in South Jordan. It must be the nicest, most unique community theater facility in the country. Our community is so blessed to have this organization in it, and I’m so blessed to be a small part of it. When I picked up my script for Hunchback a few weeks ago, I talked with one of the company owners who told me they currently have about 250 performers on payroll. How many community theater organizations can say that? Not many. I wholeheartedly support the message of Hunchback: that we should look after and care for everyone around us, despite differences; that we should embrace outcasts. We all have something we can learn from those around us. The world needs more kindness. Plus, the show’s full of some amazing choral music and talent. Earlier this year, I was assigned to sing bass in Joseph. In this show, I’m back in my comfort zone singing first tenor. And this score is written high, stretching even those of us with naturally high vocal ranges. From the rehearsals I’ve been to so far, I can tell you this production will be excellent. The leads are perfect for their roles. The production will be amazing in the beautiful new center stage, with plenty of comfortable seating and leg room, and large digital screens surrounding the top of the audience. Although the show runs through the winter, the good news is there’s attached covered parking — like six or seven levels of it. You’ll be able to drive, park and walk indoors to the theater lobby. Talk about spoiled. If you’re interested in catching a performance of Hunchback and seeing me, I’m in the Monday/Wednesday/Friday cast. We perform those nights and Saturdays at 12:30 p.m. If they add extra shows, and you’re buying tickets to come see me, please check with me first so I can confirm I’ll be performing in that show. If you see the show, watch for me as a congregant, saint, soldier, parishioner, tavern dude and monk. I can tell you, from previous experience, you should buy your tickets months early or there will be limited, or no, availability.